The exhibition is a long standing collaborative project with the Northern Ireland Patchwork Guild and The Irish Patchwork Society who have worked together on projects bi-annually since 1991. This year’s theme, ‘Ruby Serendipity’ celebrates the 40th anniversary of The N.I. 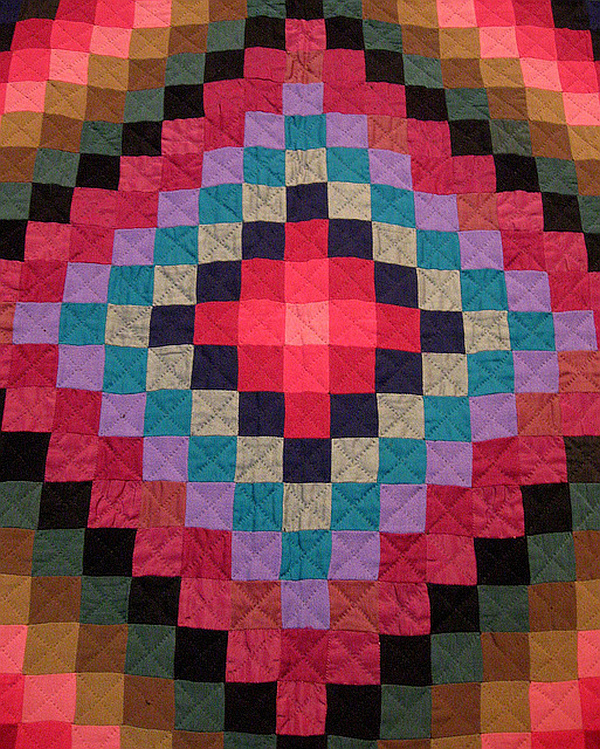 Patchwork Guild, with some beautifully intricate quilt work on display, experimenting with colour, fibres and fabric. 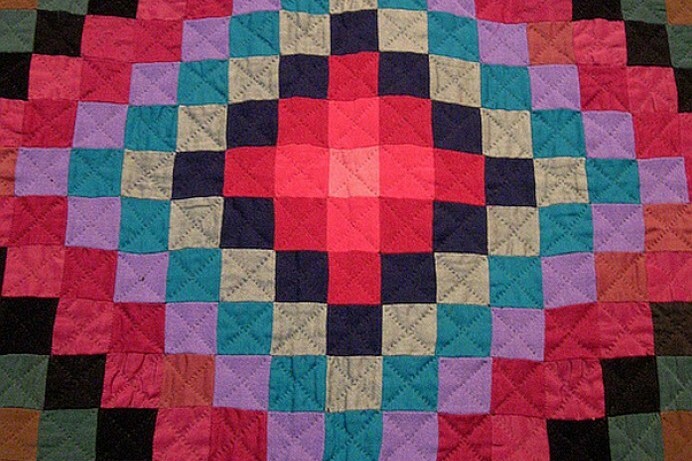 The two organisations meet monthly in their respective locations, and consist of a diverse group of members, with a common interest in traditional and modern patchwork and quilting. If you are interested in learning more please visit www.northernirelandpatchworkguild.com. The exhibition continues until Saturday 25th May 2019. The new exhibition ‘Ruby Serendipity- Hands Across the Border’ at Flowerfield Arts Centre will feature some beautiful work by the Northern Ireland Patchwork Guild and The Irish Patchwork Society.